The most common question asked about Givi cases is: “What is the difference between Givi’s Monolock and Monokey cases”. They are both actually quite good but it all defers and depends on your individual needs. To understand the difference you must first understand what a Monolock and Monkey case is. Monokey is the patented locking system that GIVI uses. One key can be used to lock/unlock the case and remove it from the mounts with the added option of matching all GIVI cases on your bike to the same key. It is also the name used for GIVI’s premiere series of cases. The MonoKey series are actually the top of the line series with a more substantial mount, more features, and better quality construction. MonoKey mounts are sold separately. 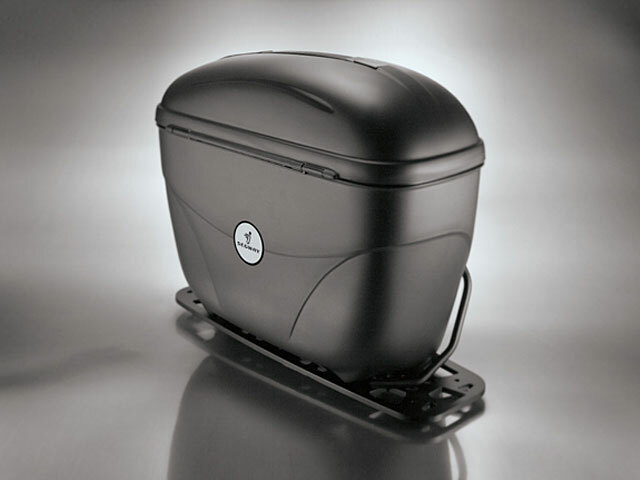 Monolock cases are single skinned and of lightweight construction so they are for perfect use on scooters and small mororcycle but they are not suitable for high speed use. GhostBikes have a full range of Givi Monolock Luggage and Givi Monokey Luggage in stock.